The 112th APSA Annual Meeting will be in Philadelphia September 1 – 4, 2016. The theme will be “Great Transformations: Political Science and the Big Questions of Our Time.” The deadline for proposals will be January 8, 2016. Note that most divisions have separate calls for papers. What roles law and courts play in “great transformations” is a question that has animated scholarship in our section for many years, producing lively and ongoing debates. 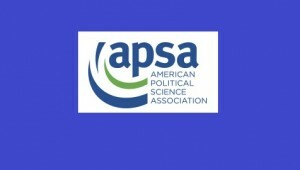 For APSA 2016, the Law and Courts section invites proposals that address this broad question from perspectives across time and space, shedding new light on the factors that produce shifts in the behavior of legal and judicial actors, as well as on the effects of such shifts, in various geographical/geopolitical locations, at various institutional levels, in different issue areas, and at different historical moments. Proposals that speak, in some fashion, to the “big questions of our time,” including but not limited to inequality (of many types), environmental challenges, and technological change, are especially welcome. The division chair seeks to organize a set of sessions that will bring scholars with different geographic, substantive, and methodological foci into dialogue. Paper and session proposals that signal potential bridges of this sort, and/or that are appropriate for co-sponsorship with other divisions, are thus particularly encouraged. The Constitutional Law and Jurisprudence division invites proposals exploring the conference theme of “Great Transformations” in relation to constitutional interpretation, law, and politics, as well as welcoming proposals on other topics. The theme encourages scholars to consider how dramatic changes – institutional, political, social, technological, economic changes related to the “big questions of our time” – have shaped and been shaped by constitutional law in the U.S and other legal systems. This might include analyzing the roles that constitutional actors, ideas and interpretations, and/or institutions play in promoting, mediating, or obstructing major shifts in the past and present. It might also involve considering or comparing how particular constitutional designs, structural arrangements, channels and processes of conflict, or jurisprudential approaches shape and constrain great transformations, enabling some aspects or types of change while undermining or foreclosing others. It could also involve questions regarding the constitutional legitimacy/illegitimacy, justice/injustice, durability/fragility of successful or “failed” transformations, or how particular interpretive frameworks and laws contribute to disparate effects and the extent to which different groups are benefited or burdened by upheavals, or included or excluded from new settlements. The division chair also seeks to foster constructive dialogue among a variety of scholars at different career stages and across substantive concerns, methods, regions, and eras, including identifying potential co-sponsorships from other divisions.